Located on a large corner lot in a neighborhood without any thru streets, the first thing you’ll notice as you pull up to this charming house is how meticulously it has been maintained. The attractive landscaping perfectly enhances the clean, classic exterior of the house, where brick stairs lead you up to the front door. 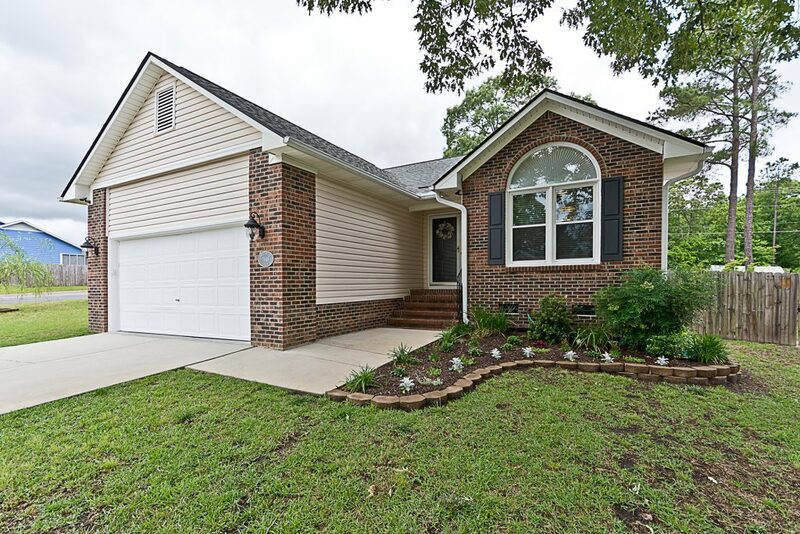 Upon entering, you’ll find solid oak hardwood floors that were installed in January of 2015, updated lighting fixtures and ceiling fans, and fresh paint that continues throughout the house. 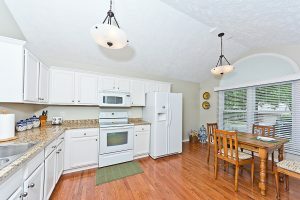 To your immediate right is a classic white kitchen with appliances to match, plenty of cabinet space, granite countertops, and a cozy breakfast nook off to one side. Adding to the open feeling is a “window” over the sink that looks out into the living room. 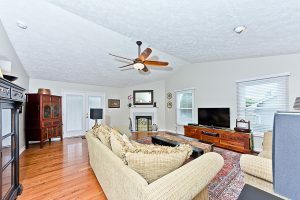 Head into that living room and you’ll find plenty of space to entertain guests – or simply curl up in front of the fireplace or snuggle on the couch and watch your favorite show. At the rear of the home, the master bedroom has vaulted ceilings that add to the spacious feel and a large, updated bathroom. Bedrooms 2 and 3 both have new carpeting and share an updated hall bathroom. 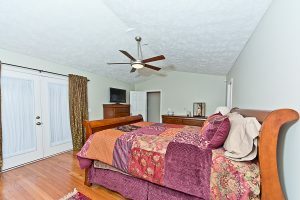 All three bedrooms boast ceiling fans. In the back, you’ll find a beautiful deck that leads to a large, fully fenced-in rear lawn with a shed for all of your storage needs. 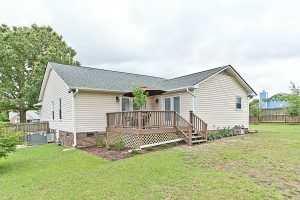 Add in the fact that the house is close to Fort Bragg – only a short drive away – and this is one place that you can’t afford to miss if you’re looking for 3 bedroom homes for sale in the Fayetteville, NC, area.